Sorry for another artsy black and white image, but I couldn't resist this: shadows on Mars. 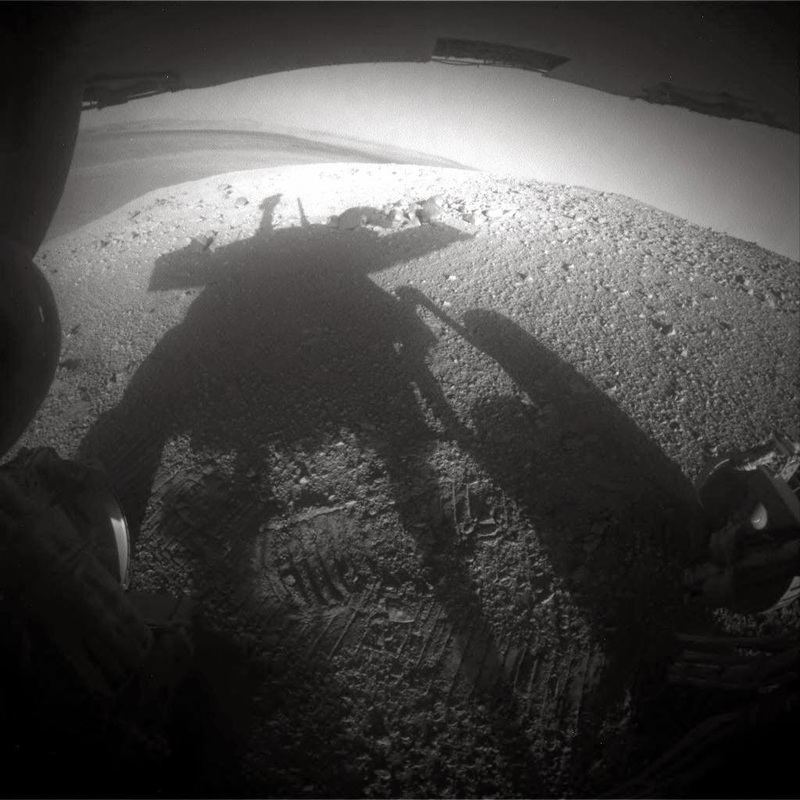 The Opportunity rover took this picture on March 20 with its rear hazard avoidance camera. Even on Mars, the late afternoon light gives you the most interesting shots.